To make a highway through the mountains you cut off the tops of the peaks and use the rubble to fill in the valleys. Except it’s not that easy, especially given the particular geography of Oaxaca. Before the actual 2-lane highway can be built, passes wide enough for the heavy construction machinery have to be cut through the mountains. When you drill through the rock to place the explosives for removing the mountaintop, you are going through layers of sedimentary, igneous and metamorphic rock each with its own characteristics and at varying depths. Each explosive charge has to correspond to the condition of each peak. 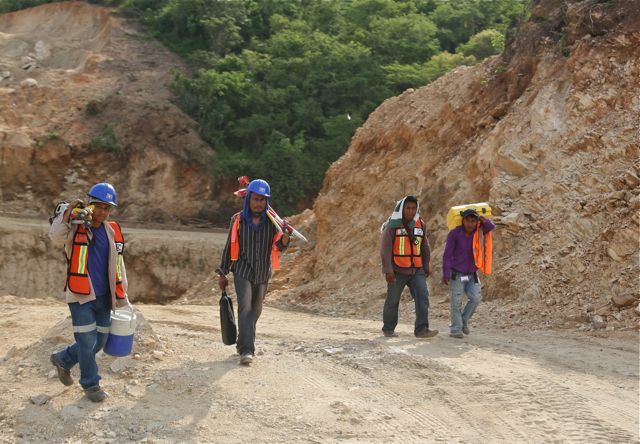 The sedimentary rock in our mountains is mainly silica which is extremely hard and brutal on machinery. The rubble from the mountaintops cannot just be tossed into the valleys either. Samples have to be sent to the laboratory to measure measure density, permeability and other characteristics. Otherwise the highway might settle and break. 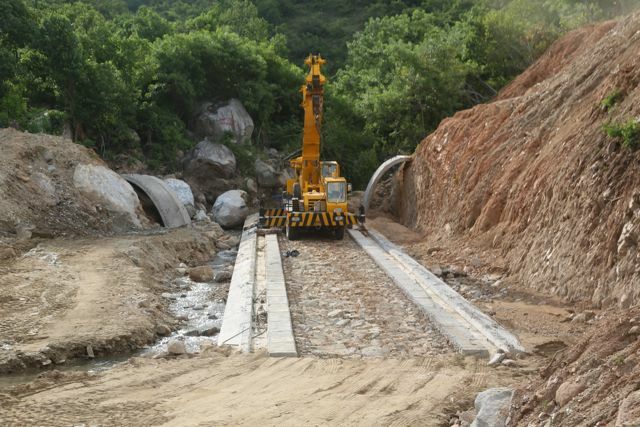 Many times creeks run through the valleys, especially during the rainy season, so tunnels have to be installed so that the water can continue on its path. The average height of the highway is 25 meters above ground level, although at some points it reaches 40 meters. 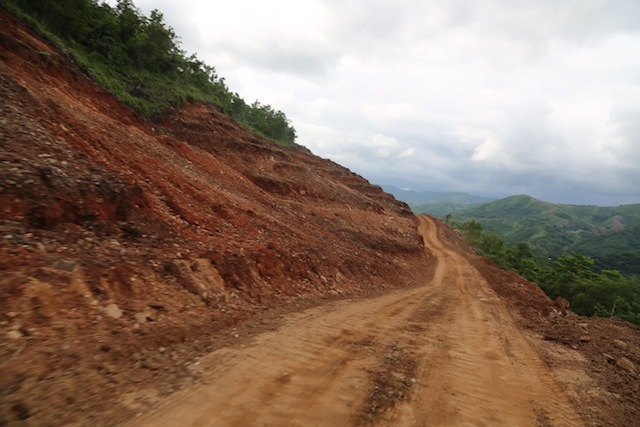 Determining the optimal grade for the slope at each side of the road is of the greatest importance for preventing landslides. Beyond the technical challenges, there are social problems too since the highway runs through communities that are in conflict. Even when the agrarian courts have ruled that the communal land in question belongs to a certain village or county that does not mean that the conflict has actually been resolved. The federal government has agreed to make some payments in the form of infrastructure improvements such as electrical lines. But even then there are problems when connecting to the grid requires the approval of still other communities that are in conflict. Nonetheless, it seems reasonable to expect that construction will be completed by mid 2015. 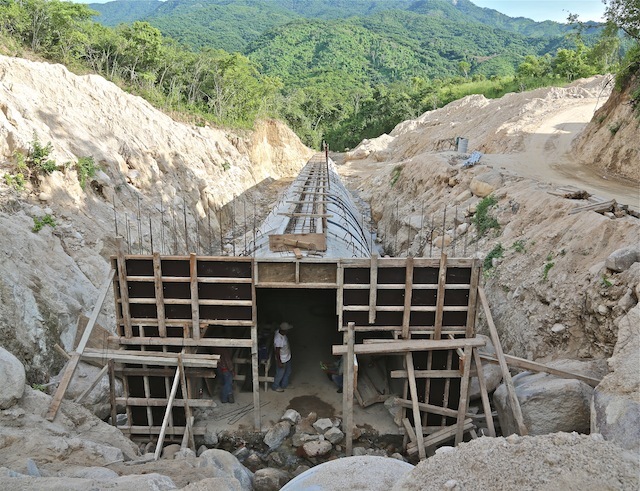 As of September a great deal of progress had been made on both sides of the Colotepec River as far as Paso Ancho, as well as in Ejutla. 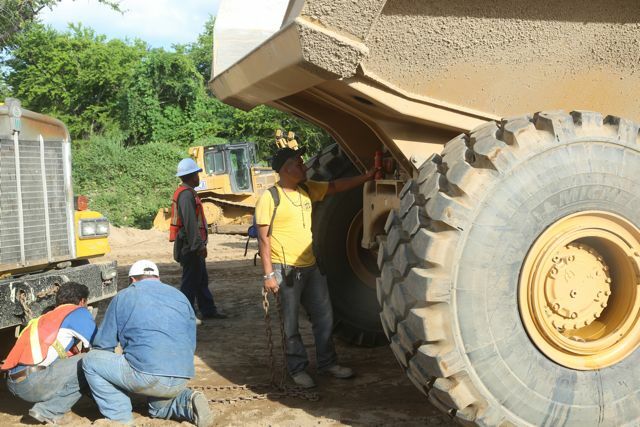 Thousands of skilled workers from other states will be brought in, along with more machinery, in October. 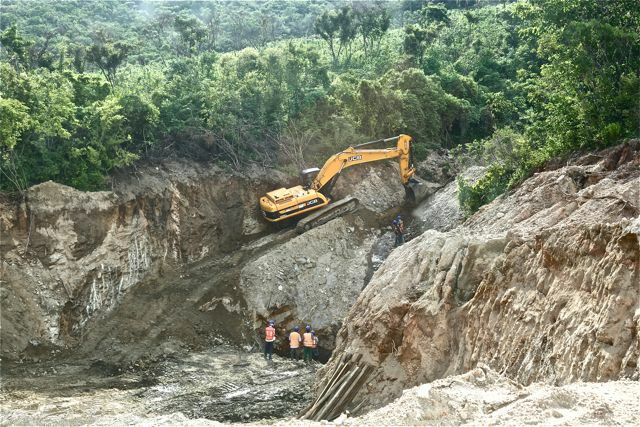 The 104 km, 2 and 3-lane, toll road will run from Barranca Larga, Ejutla to Ventanilla, Santa María Colotepec where it will connect to Puerto Escondido and Huatulco via the 4-lane Coastal Highway. The estimated travel time from Puerto to the city of Oaxaca is two hours.